This summer trip Annie is taking with the kids is due to our funding level. We have dropped below 40% of our monthly support coming in. This severely limits our ministry because we are only able to cover our living expenses. God has called us here and so we know that He has a plan for funding that mission. First and foremost is our need for prayer. 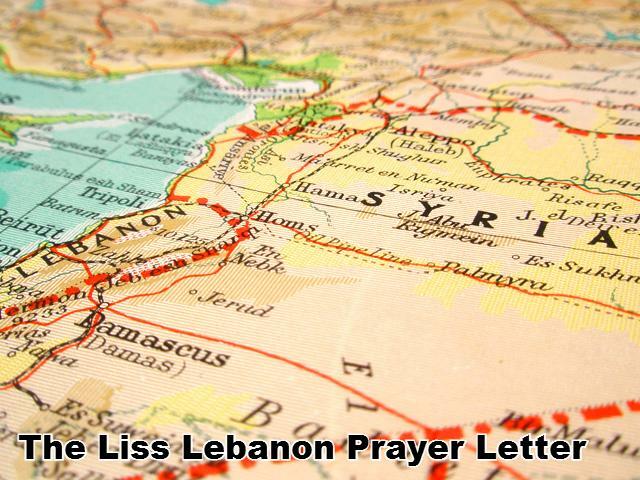 Without prayer we will not be able to continue to do ministry in Lebanon or anywhere. Secondly, we hope that you will pray today and this week about becoming a partner financially. This may be $25 per month, or a one time gift of $300. Whatever the Lord leads you to give we would be blessed. Perhaps the Lord is not leading you to give. What we hope that you can do for us is share our ministry with others, to give us referrals to find people who are interested in what we do so we can connect with them. If you are interested in joining our ministry financially, CLICK HERE. Write Louis Liss in the designation / memo. We are fully supported by our sending team, and we are excited to increase the size of that time so that we can expand our ministry here in Lebanon. Please share our good news and prayer requests with your friends, family, church, and small group. Father, You are in charge of all of the resources in this world. Please show us where we can be more generous in our giving. Bring the people into our paths whom we can connect with our missionaries. Show us the skills and assets our missionaries need so we can help fill in the gaps as senders. Amen.